The Place After the closure of Majestic Hotel, I was curious about what would fill its shoes. Finally, the space has been revealed to be Clan Café at ground level, while the rest of the property is part of Straits Clan and is only accessible for members. The lobby space of Clan Café is beautiful, with a spacious setting, wooden communal table and a floral shop which feels like a very chic hotel lobby. The Food I am surprised by the range of healthy grain bowls and salad on its menu, while brunch items include the usual eggs benedict and avocado toast. Coffee lovers will rejoice at the choice of having established coffee roaster Papa Palheta for its coffee. The Flat White (S$5) has a robust flavour but if you are up for it, try the Black Cold Brew (S$7). It was after a gym session, so I convinced myself to have the Grilled Angus Ribeye (S$19). This rice bowl comes with onsen egg, mixed grains, carrot & lotus root and mushrooms. The flavour is pretty ordinary, so is the beef. For its price and quality, I will choose to have The Daily Cut instead. That said, I enjoyed what I had under the brunch section. 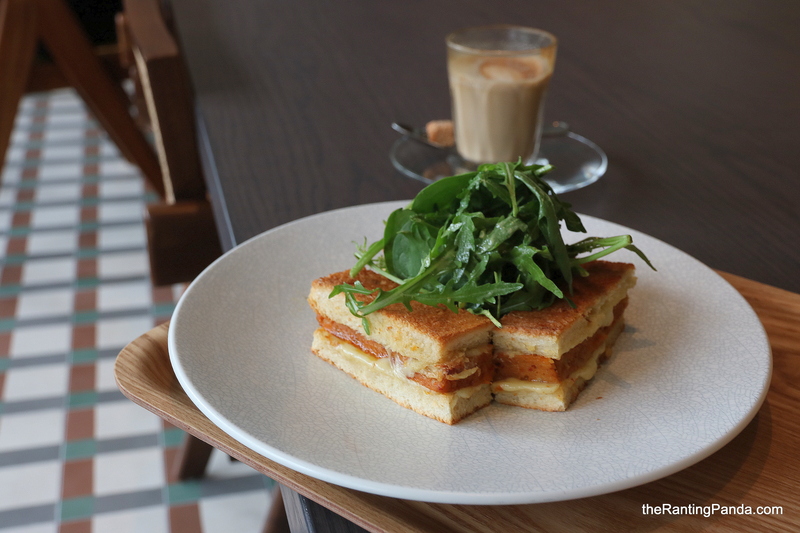 The Otah Sandwich (S$16) is an upscale version of a local Singapore snack otah, essentially grilled fish cake. The flavours here work really well. Fresh mackerel and prawn are used here, sandwich by the crispy brioche where some comte cheese is also added. Rants No reservations are taken and the cafe only accept walk-ins. It might be challenging to get a space for bigger groups. Will I Return Again? By café standards, Clan Clare scores for me with its beautiful space in a well-preserved heritage building. There is a wide selection of food, and this is a good spot if you are looking for a café to chill, enjoy a good coffee and engage in deep conversations about life.